Apple and their Mobile Application Marketplace (also known as Apple’s iTunes Mobile Application Marketplace) hit a major milestone this past week as it reached the 10,000 mobile application which are now available for purchase or free download through its Mobile Application Marketplace. This is a major milestone for Apple and gives further evidence in the direction which the mobile application industry is heading in and the potential it has in the future. Many mobile application developers believe this is only the beginning for mobile applications and the public can eventually expect to have mobile application marketplaces which have over 100,000 developed mobile applications available for download. 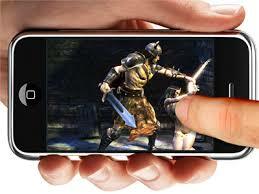 Games has also got much involvement as the iPhone mobile game development has gone viral. Apple’s mobile application marketplace first debuted in January 2011 and has quickly generated more than 10,000 mobile applications within two years of its existence. This influx of mobile applications can be credited to the rise and popularity of Smartphones (such as the iPhone, Android, Blackberry and Windows 7) and also due to the rise of tablet PC’s which have been recently introduced to the public. It is important to note that the Mac App Store (which currently has 10,000 mobile applications) is different compared to the iOS mobile application store which has over 600,000 mobile applications available for download but the success and growth rate of both mobile application marketplaces are enough to make them the largest and fastest growing PC software/Mobile application store in the world. The rise of so many mobile applications is a great sign for the industry; more specifically for mobile application developers and mobile application development firms. While a lot of industries have been struggling or suffering to stay afloat during these difficult economical times, the mobile application industry has been able to maintain and grow with each passing month; many mobile application developers and mobile application “experts” do not see this trend stopping anytime soon either. While it is impossible to predict the future, one thing which many mobile application developers and mobile app development firms remain confident about is that the mobile application industry is heading in the right direction and the momentum it has picked up will continue to grow as we continue onto the future. Are all Mobile Applications the Same?